Check out this beautiful photoshoot we did with Millie Olsen Photography! These three bouquets are so much fun, and perfect or various seasons. The first features peach garden roses and light blue delphinium perfect for spring, the second gorgeous heart roses and burgundy hanging amaranthus perfect for fall, and the last coral ranunculus, peach roses, and even carnations - perfect for summer! 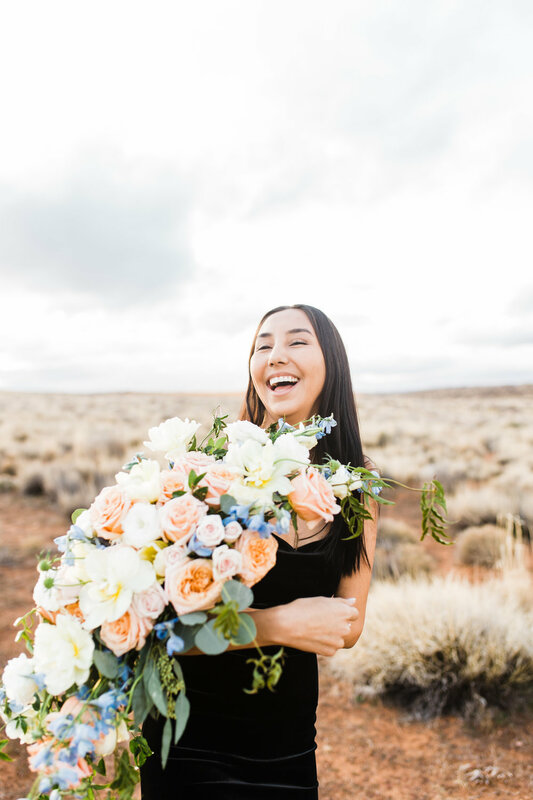 Millie Olsen did such a fantastic job capturing these bouquets, so make sure you check out her website here.